The messages have created a panic among netizens. 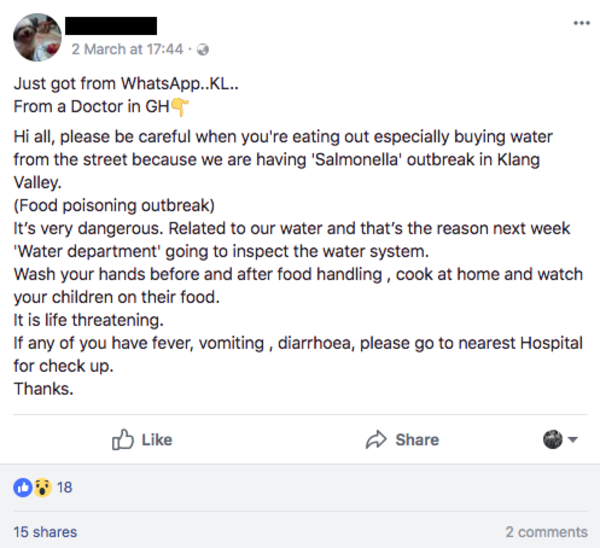 Apparently, there is a "Salmonella outbreak in the Klang Valley"
This, according to social media posts and WhatsApp forwards that people on the Internet are sharing, trying to warn their family and friends to be "careful" when "eating out at eateries or any restaurants especially buying water from the street, etc. because we are having salmonella outbreak in the Klang Valley". 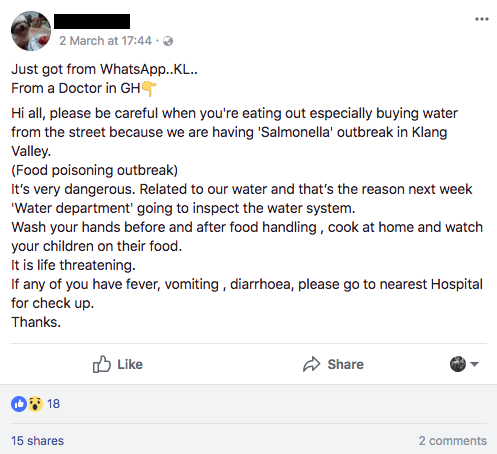 The WhatsApp forwards claim that the information about the outbreak comes from a doctor in a government hospital, adding that the contamination was from a water source and the outbreak was life-threatening. 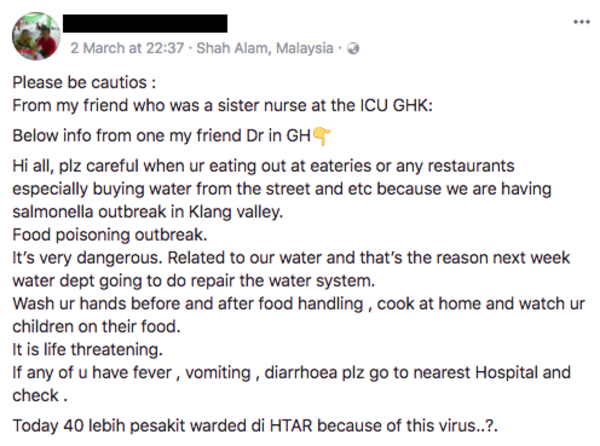 The messages also claim that the outbreak is the reason why the staff from the Tengku Ampuan Rahimah Hospital (HTAR) were hit with a severe bout of food poisoning and why the water authorities are conducting piping repair works in the Klang Valley. 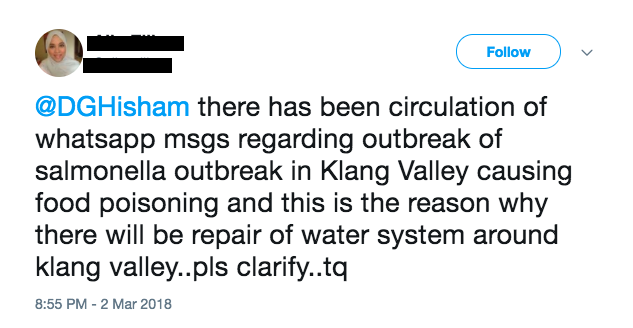 "We have no salmonella outbreak or water-borne diseases in Klang so far," according to Klang Municipal Council Health Department director Azmi Muji. The Star Online also reported a Health Ministry source saying that "it was irresponsible of people to use the HTAR incident to create public fear." In a statement on Saturday, Health Director-General Dr Noor Hisham Abdullah said the ministry has confirmed that the information contained in the message was untrue. "Based on checks and verification, no increase in the occurrence of food poisoning has been reported. 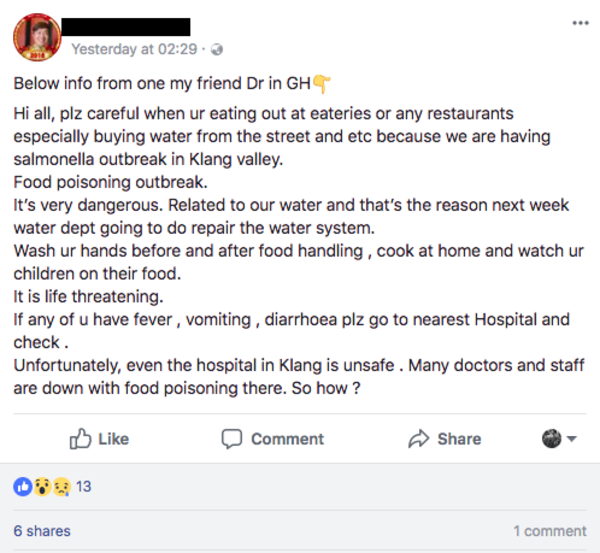 The occurrence of food poisoning cases is currently isolated and under control and has nothing to do with water supply or water supply disruption. 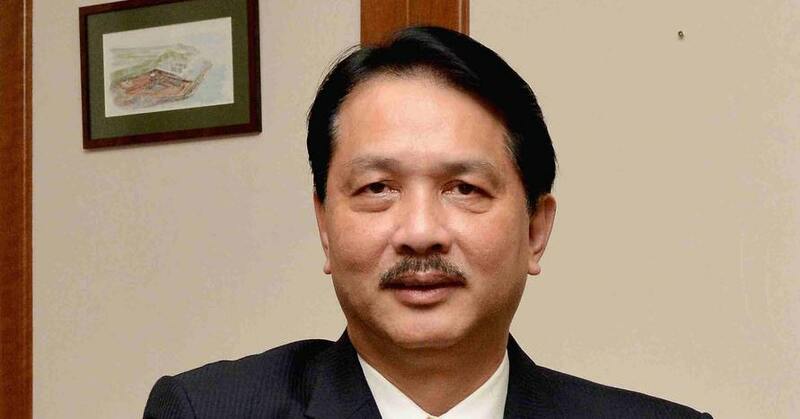 "The MOH will continue to monitor the status of food poisoning cases," Bernama quoted him as saying, adding that the public should not worry and refrain from trusting any information which has not been verified by the ministry. The Apple Premium Reseller promised to do better in future.